Increases efficiency and profitability of your company through a MANUFACTORING PLANNING SYSTEM, optimizing the BALANCE WORKLOAD, by department, machine and operator. Planning is VITAL to the world of manufactoring because it dominate the complexity and consequently generates a significant reduction in costs, and increase significantly customer satisfaction. The goal is to SELL ALL the available production capacity and to do this you need to constantly have an eye on the real situation and the planned manufactoring. 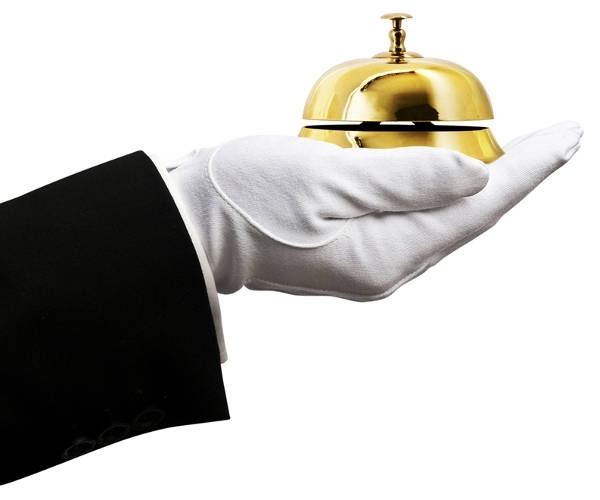 Making a comparison with a HOTEL, no hotel can risk selling in the same period more rooms, of those available. At the same time, few people would accept the hotel owner who does not know the number of rooms still available on any given day of the year. The lack of availability of a room booked, DESTROY SHORTLY THE HOTEL REPUTATION. What would happen if, inside the hotel, the rooms remain empty because the manager does not know the availability on any given day of the year? Similarly, in every manufactory company it is absolutely necessary to know in real time what the actual production capacity of the plant. What would happen if the end customer shifted the priorities and required a frontloading of five days? This is the REALITY and it is useful a GREAT FLEXIBILITY to optimize all manufacturing processes. SKEDA is the tool designed and developed to enable THE PLANNING OF ALL JOBS, optimizing the resources of time, materials, machinery and operators. The software allows multi-platform access; the structure is accessible from all terminals: PC, Tablet, Smartphone and is always accessible, with view depending on the roles of the user. 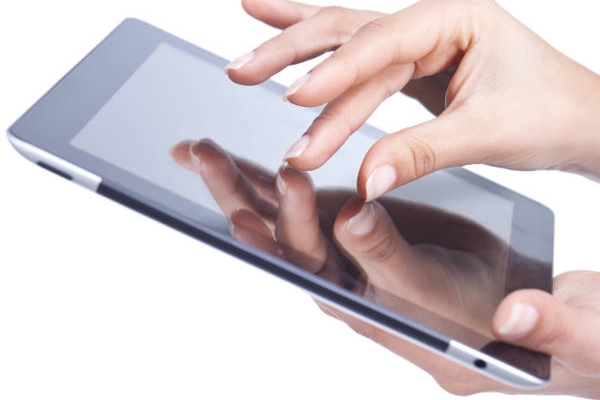 intuitive and simple graphical interface, optimized for touch interaction. 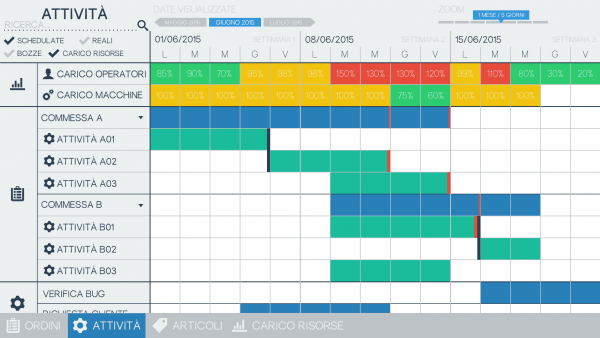 The color logics ensures immediate interpretation of the data entered, helping the planner to identify the load of resources. 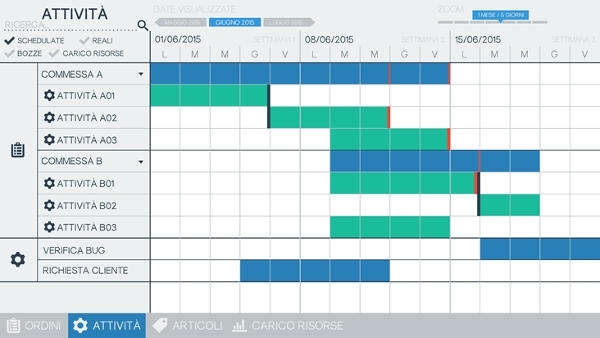 The software AUTOMATICALLY PRODUCES A FORECAST GANTT CHART, by using the resources of time, of machines and operators, in order to obtain an overview of the production departments and the delivery times. Skeda allows quickly data processing, moving the time axis due to possible production delays, priorities change or stop, aligning itself with the actual situation of the department. The planner, at any time, can change the production plan by a simple «Drag-and-Drop» action and the system will recalculate everything. The software estimates the delivery date of the entire order/project and of any job. 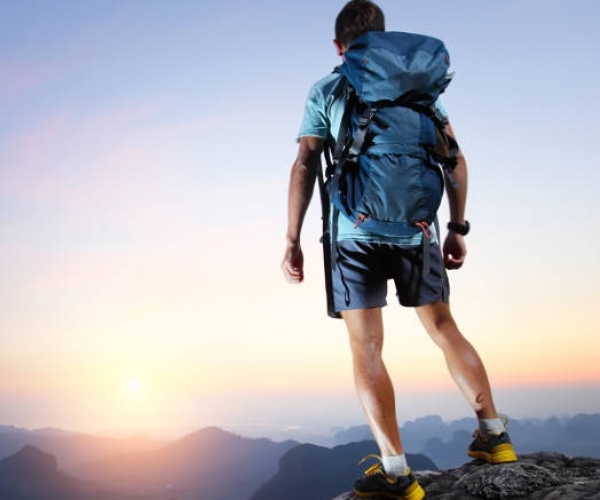 The «milestones» represents intermediate key objectives. Each division head can see the priorities concerning their responsibility. 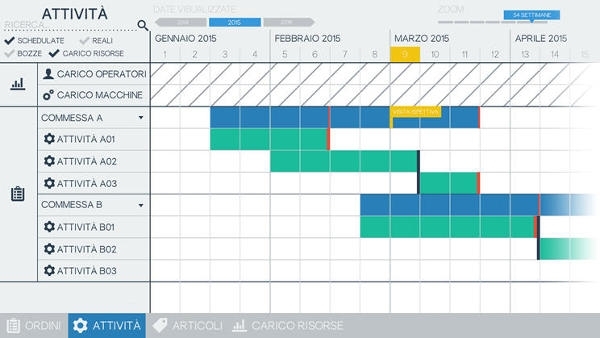 A seconda delle esigenze, è possibile visualizzare il calendario giornaliero, settimanale, mensile o annuale. For each order are identified different tasks or stages (eg. design, preparation, assemply and the testing stage). Each job can be run in parallel with or consequential constraint. 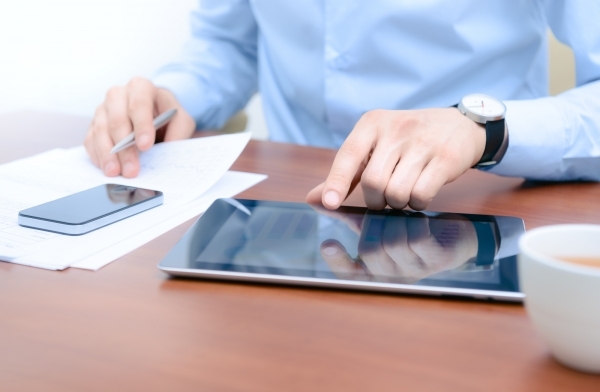 for each employee it is automatically calculated the work load, making immediately visible its availability. For each machine is automatically calculated the workload, to check in «real time» if they are optimizing and enhancing the use. This allows you to organize resources, understood as machinery and operators, in an agile and practical. Industry 4.0: ready for the fourth industrial revolution? 2015 iride progetti – SanziSoft – Senigallia (ANCONA) - tel. 0717931743 - pi. 02186180424. ALL RIGHTS RESERVED.